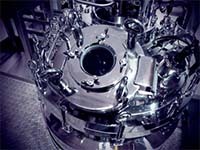 The double jacketed vessel is specially designed for temperature sensitive and shear-force sensitive cells such as mammalian and insect cell cultures. With the thermostat system and pitched-blade impeller design, fragile cells can be gently mixed and cultivated for a long period of time without damaging the cells. A full assortment of accessories are offered as a standard package for your convenience. Winpact now offers pilot and production scale bioreactor/fermentation system for all of your large scale fermentation needs. 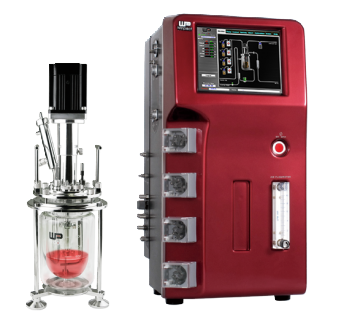 Our standard SIP (Sterilization in Place) fermentation system provides high quality and excellent compatibility to meet all the bioprocess engineering standards. All of our features are designed to provide high level of productivity and automation while maintaining a low operational cost. Our system ranges from 50 L to 1000L working volume. 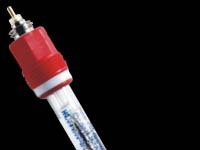 This state-of-the-art, gel-filled low maintenance pH-electrode with excellent pressure resistance is specifically developed for reliable measurements in bioprocess. With pressure resistance of up to 6 bar overpressure and patented silver-ion trap to prevent fouling of disaphragm in sulfide-bearing media, the glass body pH electrode can be used on an universal basis in bioprocess applications such as cell culture and fermentation. 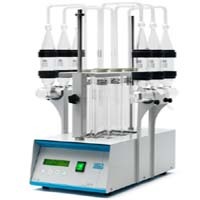 Fermeter Volume 5L, 10L, 20L, 30L & higher version.